Said Ali al Shihri, former Guantanamo detainee and deputy leader of al Qaeda in Yemen. Photo from The SITE Institute. The Yemeni government said it has captured the deputy leader of Al Qaeda in the Arabian Peninsula. The Interior Ministry claimed that Said Ali al Shihri and another al Qaeda operative identified as S. Lamankib were captured after overturning their car at a checkpoint in Shabwa province. The initial report of Shihri’s capture, at the Yemen Observer, claimed he overturned his car at a military checkpoint in the Sylan district in Shabwa. The Interior minister said Shihri and Lamankib were captured after a traffic accident in Shabwa’s Asailan district, according to a report from the Xinhua News Agency. US intelligence officials contacted by The Long War Journal would not confirm al Shihri was captured and are skeptical of the report. Shihri is a Saudi citizen who was detained by the US and transferred to Guantanamo Bay for his connections to al Qaeda. He had served as an “al Qaeda travel facilitator” in Mashad, Iran, where he would help al Qaeda operatives enter Afghanistan. He was also connected to the Saudi ‘charity’ al Wafa, which has been designated under Executive Order 13224 as a terrorist organization and is briefly mentioned in the 9/11 Commission’s report as an al Qaeda front. In November of 2007, Shihri was released from Guantanamo and placed into Saudi custody, where he then entered a rehabilitation program for former jihadists that is run by the government. Less than a year later, Shihri played a direct role in al Qaeda’s attack on the American embassy in Sana’a, Yemen’s capital, in September of 2008. That attack killed 10 civilians, along with six terrorists. In February 2009, Shihri was named as Nasir al Wuhayshi’s deputy when Al Qaeda in Saudi Arabia and Al Qaeda in Yemen merged to form Al Qaeda in the Arabian Peninsula. The capture of Shihri would be the second major victory for the Yemeni government against Al Qaeda in the Arabian Peninsula, if the government’s claim of killing Qasim al Raymi and five other operatives holds up. The Interior Ministry said it confirmed that Raymi, the group’s military commander, and five other terrorists were killed in an airstrike on Jan. 15. But al Qaeda denied the reports that its leaders and operatives were killed in the airstrike. The US has recently sought the Yemeni government’s assistance in cracking down on Al Qaeda in the Arabian Peninsula after two plots have been directly traced back to the terror group. Both the attempt to blow up an airliner over Detroit on Christmas Eve, 2009, and the shooting at Fort Hood, Texas, in November 2009 that killed 13 US soldiers have been linked to Al Qaeda in the Arabian Peninsula. Al Qaeda is known to operate several training camps in Sana’a, Abyan, and Shabwa provinces, and has the support of several influential tribes in Yemen. The Yemeni government, which is known to have worked with al Qaeda in the past and has signed peace agreements with the group, is seeking $4 billion in international aid to assist in the fight against the the terror group. 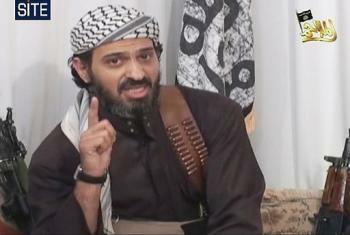 The Yemeni government still allows al Qaeda supporters such as Shiekh Abdulmajid Zindani to operate in the open. Great!! Now all thats left to do is wait for Yemen to allow him to escape. Its amazing that the Yemeni government manages to get into action and make the kind of progress it has in such a short time while the Pakistan government fails to do any real damage to its Al-Qaeda gusts. No way. How can such a magnificent spate of successes be so quickly achieved by a government that until recently was hardly lifting a finger, despite the embassy attacks in 2008 in San’aa? It’s the same as Iraq and Af-Pak: They only do things when the stick replaces the carrot. Please! So the second most dangerous man in Yemen crashes (or his driver) his car at a checkpoint or rolled it. And these are the guys who coordinate VBIEDS and suicide truck bombs? 2) Steer a vehicle under pressure. Get out the water board……..we need all the info we can get….and if he won’t talk hold him down for another minute..he will give up the info…we all know they are all cowards….They want to instill fear in our lives but their fear of getting caught without a martyrdom plan is nothing but wet pants…..